Cognitive Stimulation Therapy (CST) is a non-drug, non-surgical treatment that targets the information processing centres of the brain to aid and improve the mental processes of acquiring knowledge and understanding; brain training if you will. The therapies used in all the Daybreak dementia day clubs in Oxfordshire are designed to evoke memories and build on experiences that are related to positive feelings. The benefits of CST as a treatment for dementia are far reaching, but here are our top five. Members play a game as a group to encourage cognitive stimulation. As Cognitive Stimulation Therapy is a non-drug treatment, the members of staff who organise and run our day clubs are trained to run the sessions themselves. Professional medical supervision is unnecessary during the therapy sessions meaning that it can be provided to our members every time they attend a Daybreak club, it is relatively low cost and even our valued volunteers and family members can get involved. Everybody is different, and this is the same for how dementia manifests itself in someone living with the condition. CST is a treatment that can help lots of different symptoms of dementia in one session. If doing an art activity, for example painting, whilst this is an individual activity which focuses attention and encourages creativity and concentration, it is often within the group where members feel relaxed and confident enough to talk about their memories (short term or long term). This conversation is often led by a trained member of staff choosing relevant themes to encourage discussion. Whilst the activity disperses the energy around the table, such conversation helps to improve language and interaction skills without the need for direct encounters. CST allows our members to relate to one another through socialisation. The environment of the group activities encourages conversation and working together, and the members naturally learn about and relate to each other’s current and past experiences whilst talking. Some of our members live alone and their social contact is minimal, so the ability to interact with others and make friends is invaluable for language skills but also to prevent the feelings of loneliness and isolation of those most at risk. According to Unforgettable, a trial in 23 care homes and day centres led to the conclusion the CST brought ‘significant benefits’ to the mental ability and memory of those involved in the trial; Unforgettable described the results as being ‘similar to the benefits of taking medication for symptoms of memory loss’. These activities are fun for all who take part and make the clubs feel lively. Members often sing, laugh and chat together which is fantastic to see and be a part of. 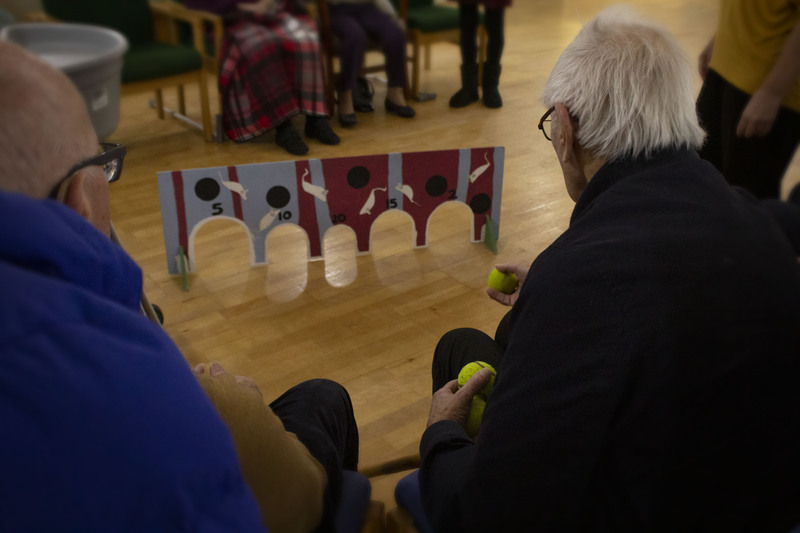 We have also seen our members thrive under the conditions of sessions as they are often both mentally and physically stimulated by the activities which address our ‘whole-person’ approach to therapy and the care of those living with dementia. Daybreak Day Clubs run in three locations across Oxfordshire; Greater Leys, Kidlington and North Oxford. For information on visiting any of our clubs, to talk about membership, running a CST related activity or volunteering to help out, please contact our main office on 01865 776744, or visit our clubs page and fill out an enquiry form for a specific Daybreak club.